"I'm scared I'll forget you..."
From the perspective of a young child, Joanna Rowland artfully describes what it is like to remember and grieve a loved one who has died. The child in the story creates a memory box to keep mementos and written memories of the loved one, to help in the grieving process. 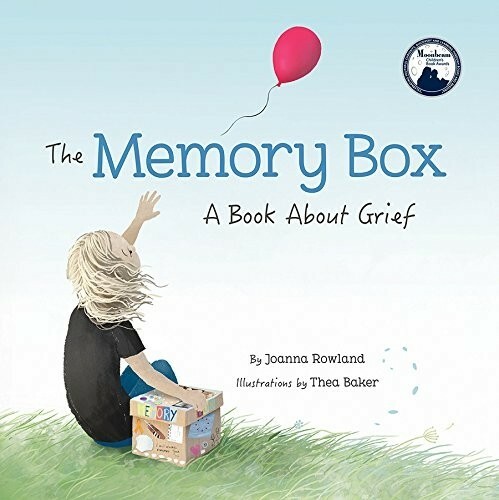 Heartfelt and comforting, The Memory Box will help children and adults talk about this very difficult topic together. The unique point of view allows the reader to imagine the loss of any they have loved — a friend, family member, or even a pet. A parent guide in the back includes information on helping children manage the complex and difficult emotions they feel when they lose someone they love, as well as suggestions on how to create their own memory box.